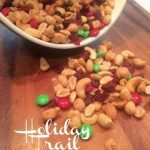 Holiday trail mix is so easy and inexpensive to make when you want to give a little gift. 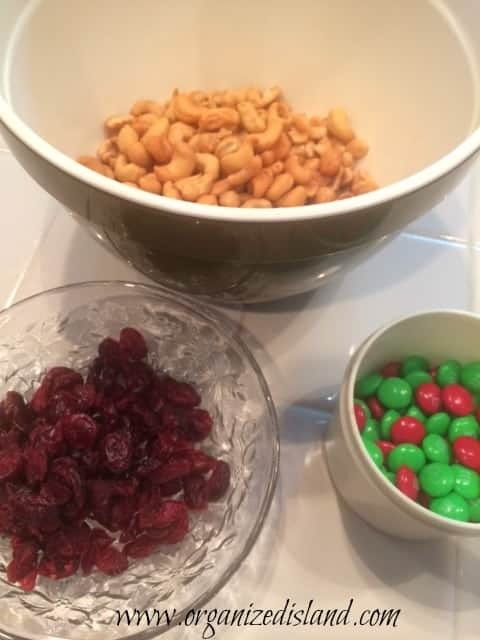 For my trail mix I combined two types of nuts with a some dried cranberries as a nod to the season. Of course I had to add a little chocolate to mine and to make it festive I used the holiday color variety of chocolate candies. I like to make my own trail mix for several reasons. First of all, I can put the ingredients I like the most in it. I also love that I can save a few dollars by buying the ingredients separately. It also allows me to choose nuts without preservatives, if I choose. The trail mix is great for game night or watching TV. It is also great for a lunch box snack. I store mine in a mason jar which is also perfect for gift giving. 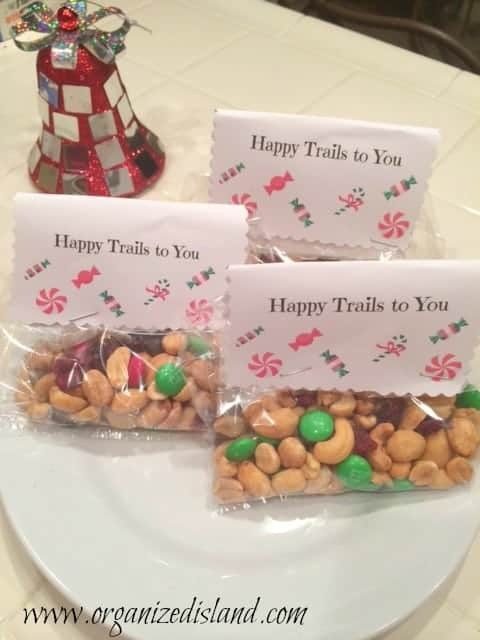 You can a;sp put the trail mix in little bags and create toppers. These are perfect last-minute gift ideas for friends, neighbors and really anyone who enjoys trail mix. 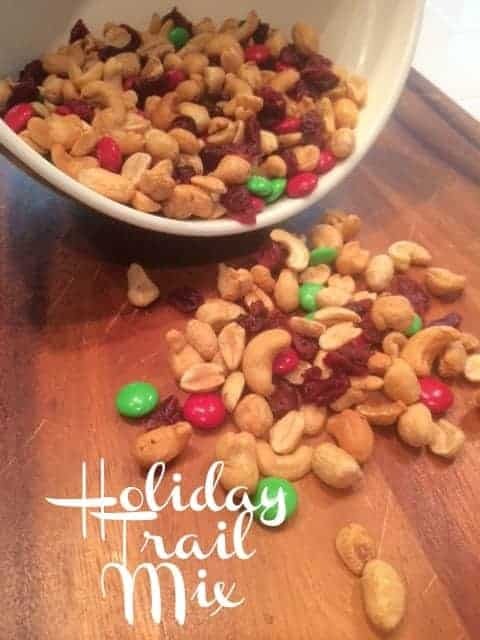 Simple recipe for holiday trail mix. Store in an airtight container or place in bags for gift giving. Best eaten in a few days, especially if you use nuts without preservatives. This sounds really good. I bet these would make great gifts! I love homemade trail mix. The other stuff is full of crap and chemicals! Of course I’m that type who eats all the chocolates out of it! I bet there are many of us. So true about the chemicals. I have to admit, my trail Mix has to have a lttle chocolate in it. It looks so festive, and the gift bags are so cute! 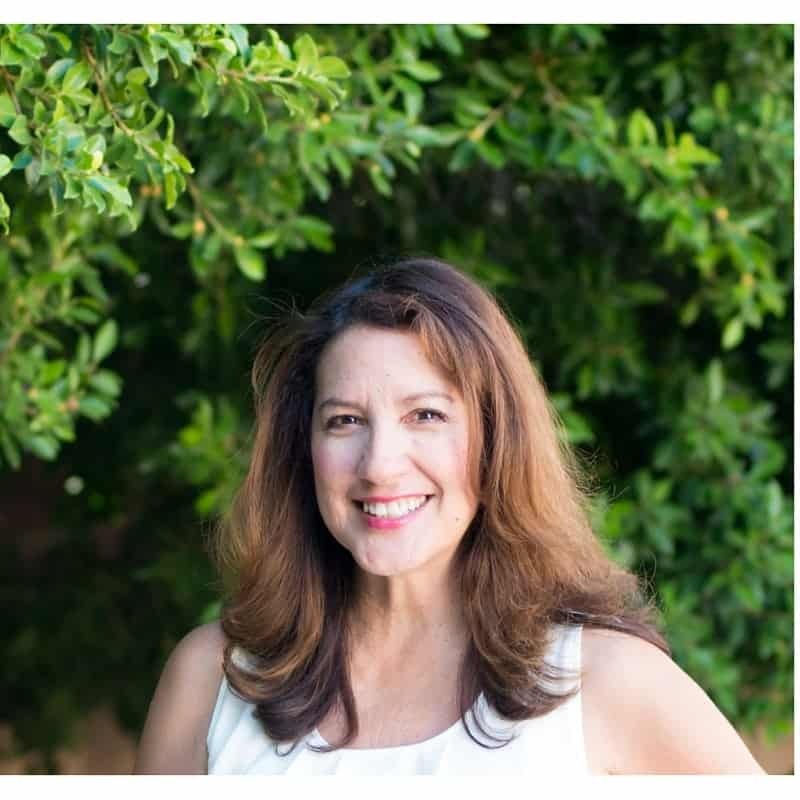 Oh I can imagine you snacking and driving in the beautiful hills of Sonoma! What an adorable idea! 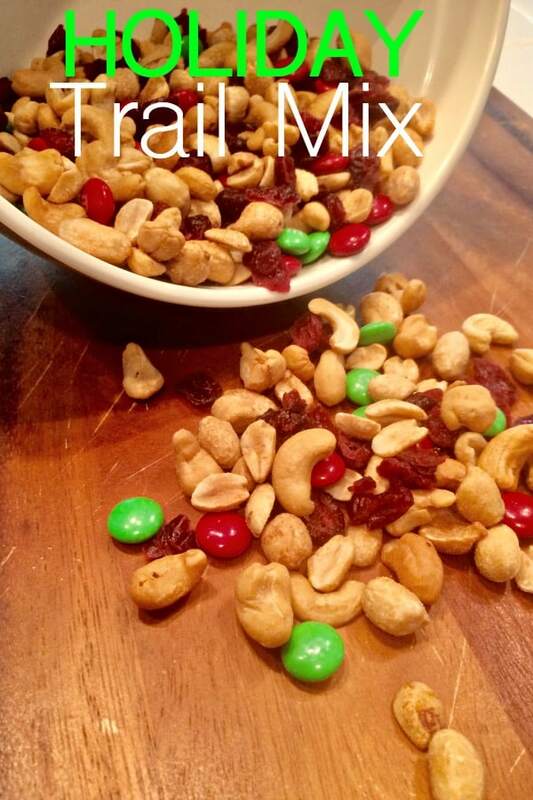 I love trail mix and this would really would make a great party food plus a great gift! It always seems like I have one or two extra people I would like to gift something small to and this would be fab! 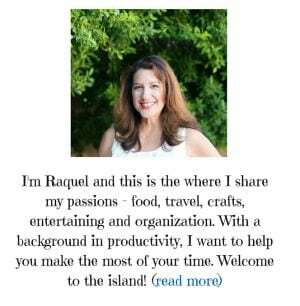 Thanks for sharing, just pinned! Thank you for your sweet comment and the pin Jen!